If you are involved with Xango, you’re probably looking for a way to get more Xango Leads for your business. After all, leads are the lifeblood of any business. Most distributors who fail with Xango do so because they don’t have enough leads to talk to. My hope today is to teach you five great ways to get more Xango leads, so you can have an endless flow of leads in your business. I should start by telling you that there are MANY ways to get leads. The key to your success is to find a lead generation method you understand, that makes sense to you and you feel comfortable doing. All of these methods listed below will either cost you time or money, or both. But, if you do things right, you should be able to have a positive return on your investment. 1. Referral Program: If you already have customers in your Xango business, you must treat them well. Strive to provide world class customer service to keep your customers happy customers. If you already have happy customers, ask them for referrals. From each customer you have, try to get at least five names of people who would be good prospects (as customers or distributors). Offer your customer discounts on their products for each referral they give you. Make sure you send them a hand-written thank you note when they give you referrals. One of the best things you can do is to create a referral program where you COMPENSATE people for giving you leads. This will really give them a good reason to give you referrals. Cash is KING! 2. Blog: I personally believe EVERY serious network marketer should have their own blog. You could make your own mangosteen blog, without mentioning the word Xango on it. You could write about wellness issues, about the benefits of taking mangosteen, how to lose weight, etc. You could create a page on your blog that talks about a health product you sell and then simply ask people to contact you to learn more. By not mentioning the name, you will keep yourself out of trouble with the company and you will draw people in. This is a great way to get more Xango leads. 3. Free Clinics – If you are a wellness professional and have the credentials, you could offer free clinics and seminars in your home town. You could educate people about wellness, or about a specific wellness topic that you are qualified to talk about. At the end of the seminar or clinic you could introduce people to your products. This is a great source of leads, but only if you are a licensed professional or have the credentials to do so. Just make sure you don’t make any crazy medical claims. 4. Give Away a Free Health CD – You could create your own audio CD that talks about the benefits of taking mangosteen. You could place an ad in your local classifieds or even in the nationwide classifieds. You wouldn’t mention the word Xango on the CD itself, but you could enclose some product information and literature with each audio CD that you mailed out. This is another great source of leads for your Xango business. 5. Wellness Newsletter – You could create your own health and wellness newsletter that you mail out once a month. You could provide health tips and weight loss tips in it. You could talk about different ideas and briefly mention the products or let people know that they can contact you to learn more about some neat health products. If you chose this route, your main objective is to get people to subscribe to the newsletter and then let your newsletter will do the sorting and selling for you. I think the best advice I can give you to get more Xango leads is to NOT mention the word Xango in ANY of your advertising. Instead, talk about the BENEFITS of what the products can do for someone. Take a different approach than most distributors do and use a two-step selling process by giving away something for free first, and then introducing them to the Xango products. That is your best bet. What are your thoughts? What do you do to get more Xango leads? Leave a comment below to share your thoughts. I look forward to hearing from you. Disclaimer: Xango is a registered trademark. I am in no way affiliated with the company. Individual results will vary. Personally, I had never heard of Xango until now. That tells me that those who are marketing it are not getting out and following what you said here. These are all great tips on how to generate leads. All of these tips can be used by others besides Xango. 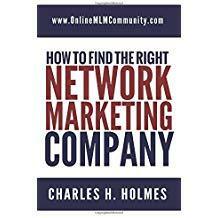 One of the most important parts of Network Marketing is generating leads. Thank you for sharing these tips. Good point, Greg. Whether you are in Xango or any other company you must be able to get quality leads so you always have someone to talk to. I always tell folks to find something you are comfortable doing and then take massive action with it and master it.